"The problem with my mimosa." Some Humor for hummer watchers who have no ego. Here is a tip that I learned from a website that is no longer up. 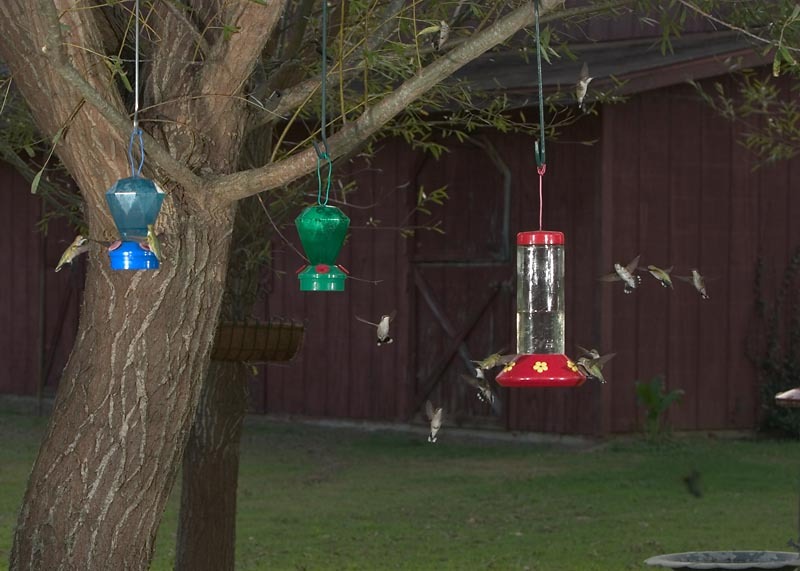 The basic premise is to group your feeders at certain times of the year. 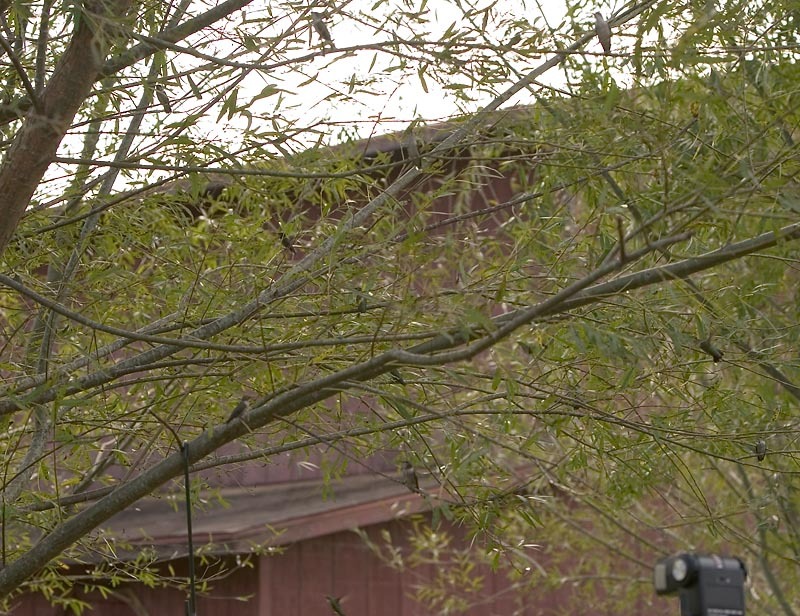 This goes against the general idea that feeders should be spaced so that one bird cannot guard more than one feeder. 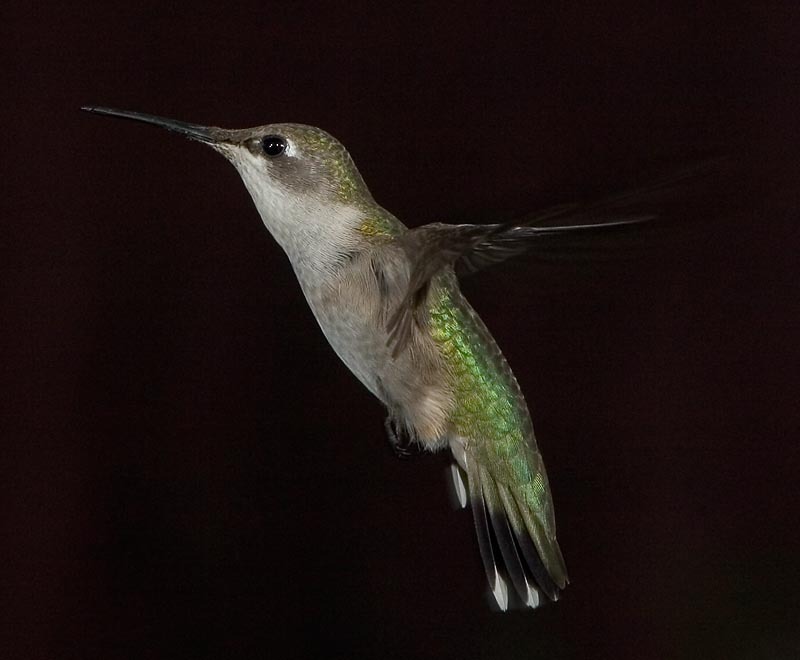 For the spring and early summer, the prevailing wisdom is probably correct in my experience, at least if you do not ordinarily get a lot of hummingbirds at once. 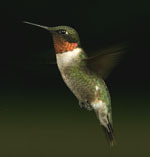 But in the fall, if you are on the migratory path, grouping those feeders will bring enough hummers that any bird will quickly give up on trying to fend off others, and even if he doesn't, he efforts will likely be futile. 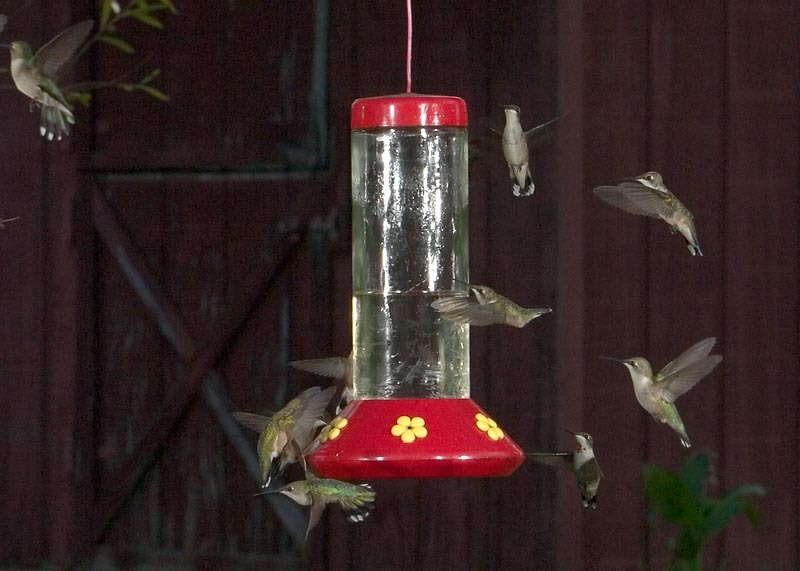 Can you count all the hummingbirds in the photo? The birds reminded of the cars waiting in line for gas I had seen earlier the day this was taken. After photographing around the feeders for a while, I looked up and realized that there were about as many birds perched near the feeders as there were actively feeding. On the whole, from a photographic perspective, I found it more difficult to get acceptable shots of these birds, but I did get a few. I only had to wait about 30 seconds from the point that I sat down for continuous feeding action. This is a far cry from my usual 2 hour session where I get 10 shots or so. However, the birds are far more frantic and do not take their time around the feeders like they do when they are the only bird around. But it sure is fun watching the activity of this many birds at once. This was about the best I could do today on the up close shots. 17 Birds by my count above. 13 here, including two flying.